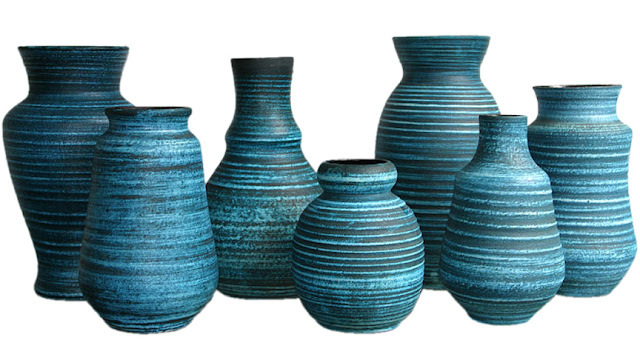 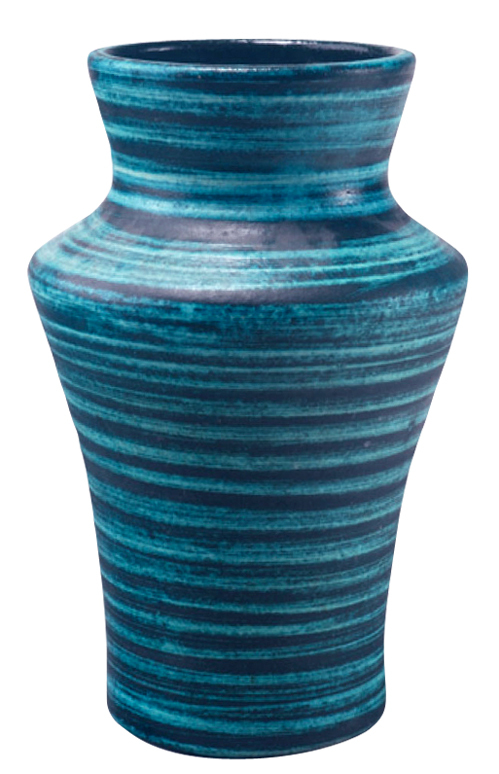 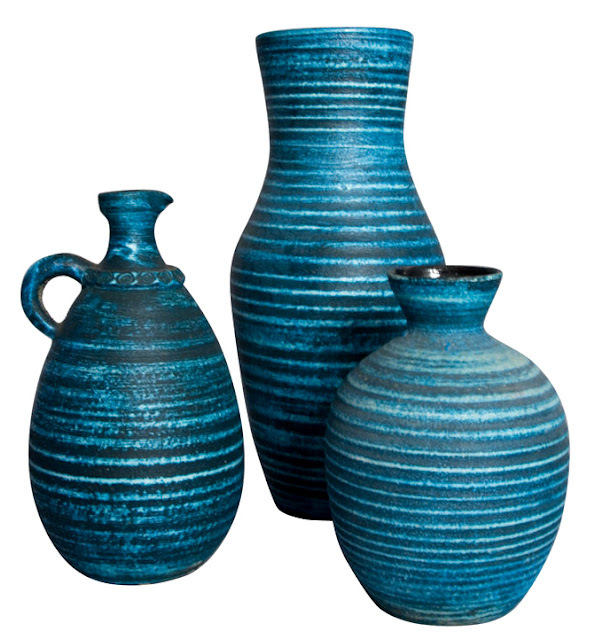 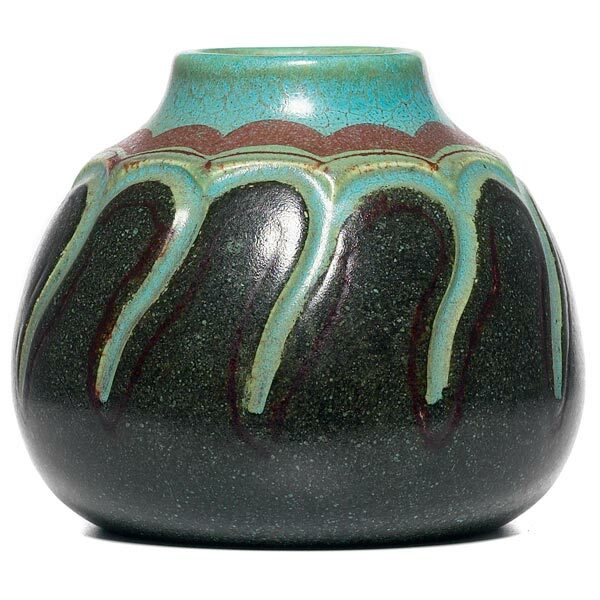 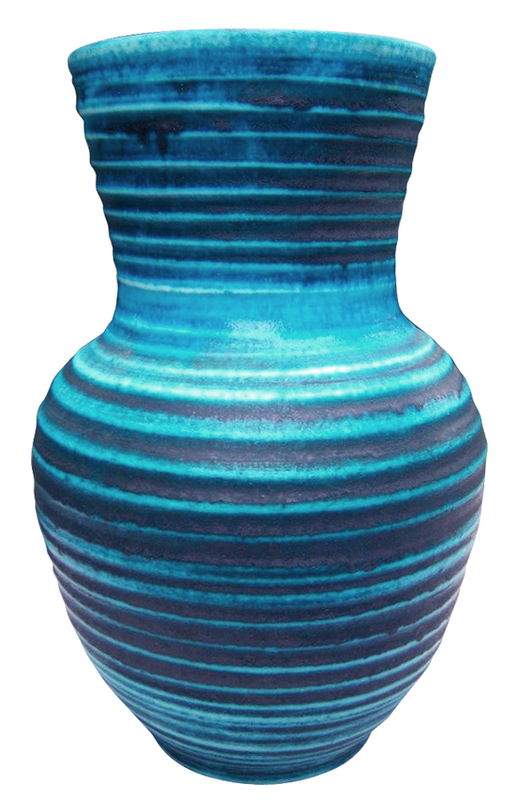 These matte finish variegated blue ceramic vessels were made by Accolay, a french pottery company that was in existence from 1945-1989. They produced a variety of pieces, but these turquoise vases are my favorite. 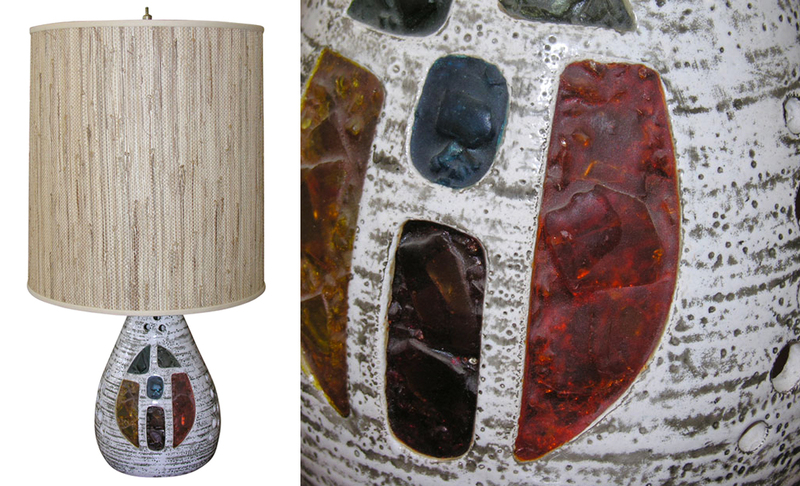 Below are a few other pieces that illustrate the wide variety of forms created by Potiers d'Accolay. 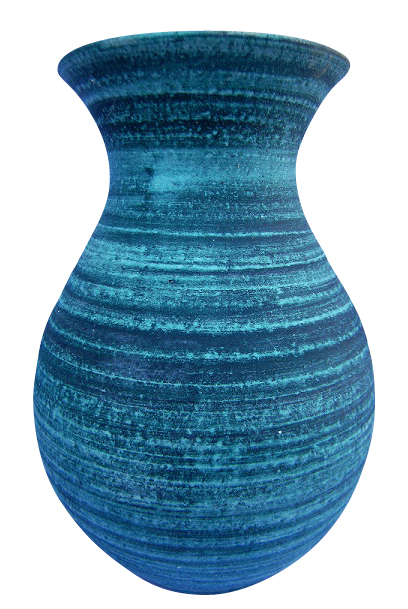 Accolay Jug, 36.22" tall. 1st dibs Paris available at time of post. 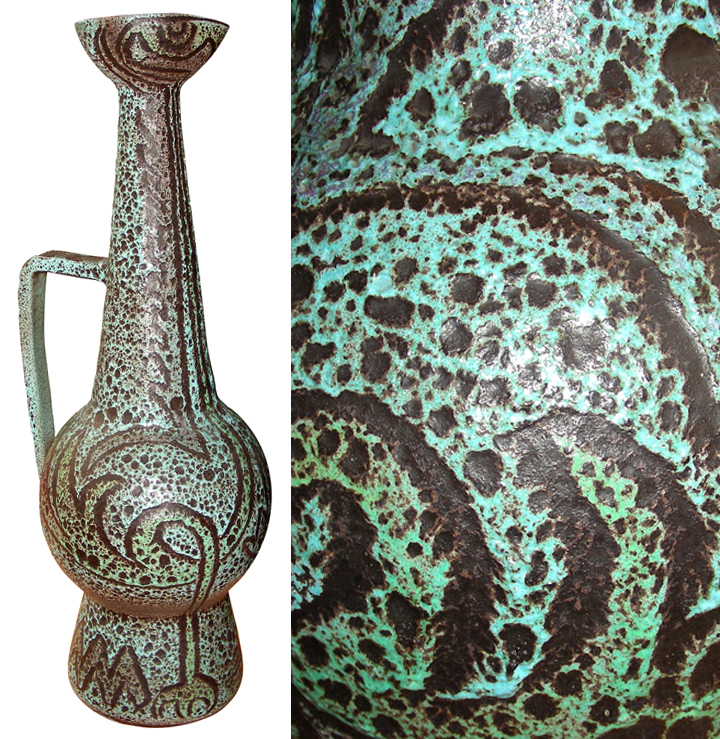 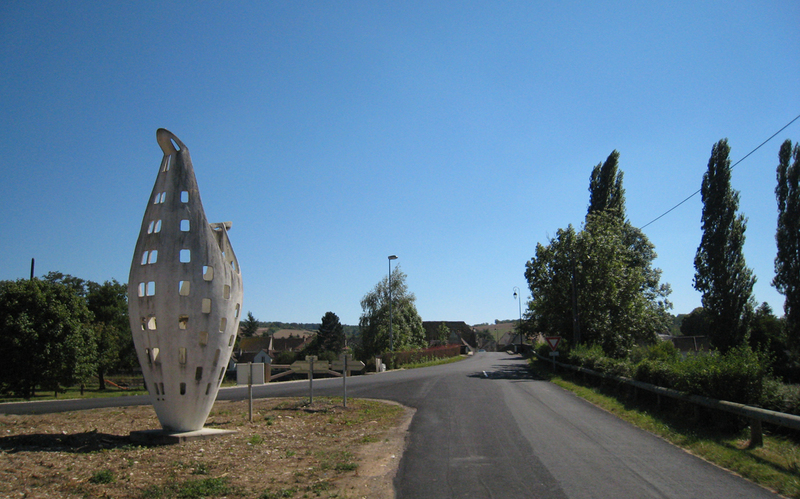 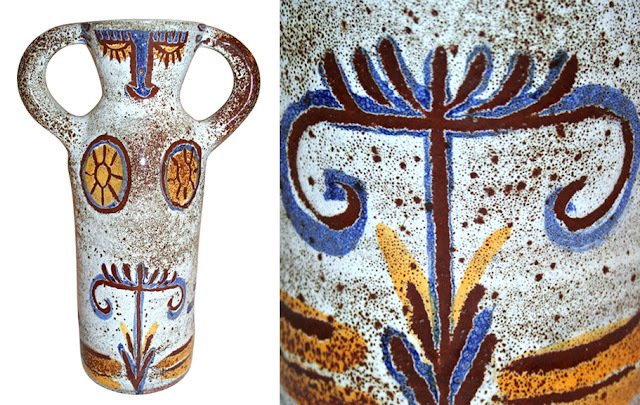 Accolay Pottery was started in the small village of Accolay, France in 1945 by four friends, André Boutaud, Slavic Paley, Louis Dangon and Raude. 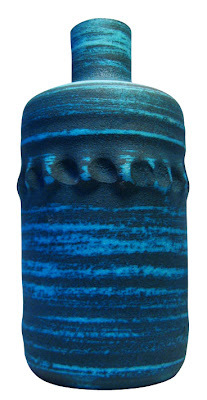 They were making ceramic buttons, mostly for themselves, when they were approached by fashion designer Christian Dior who gave them an order for 300 pieces. 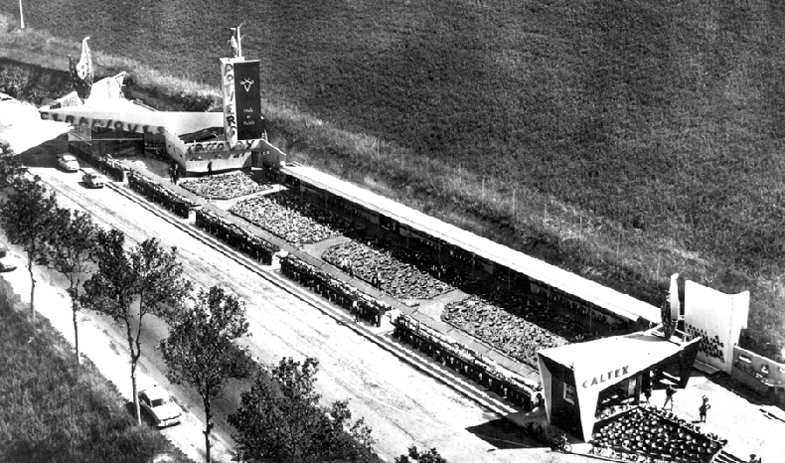 After Dior's collection was featured in magazines they received additional orders and with this success launched their business. On October 26, 1945 they set up their first shop in an abandoned factory in Accolay. 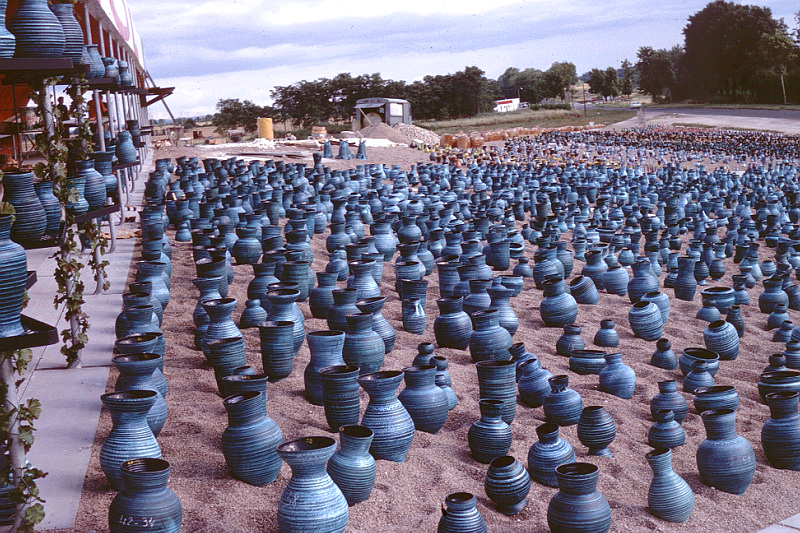 Over the next few years their product offering and business quickly grew. 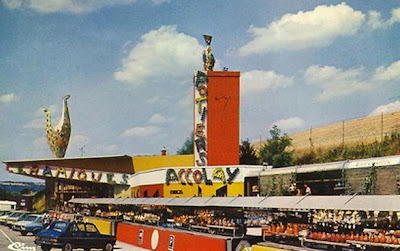 Accolay sold many pieces from service stations along RN6 and RN7, both major roadways to the South of France. 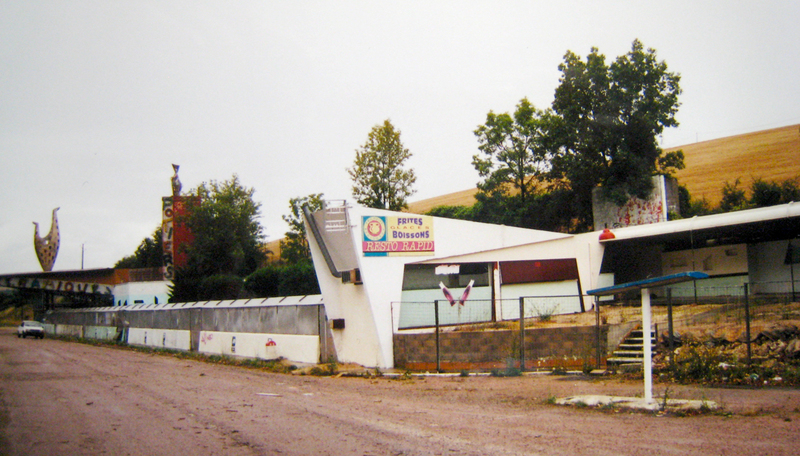 In 1958 they built a large store alongside a Caltex service station on RN6 just outside of Vermenton (pictured below), which would become a roadside institution for years to come. It is said they modeled their stores after the grandstands at Le Mans (race) and the similarities are recognizable. Unfortunately good things don't last forever and business began to decline in the 70's due to changes in the market and the gas crisis. 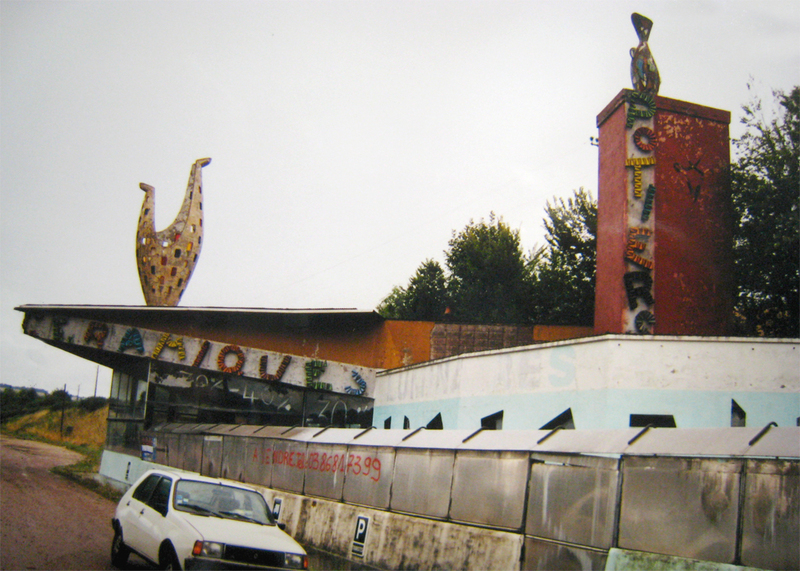 After the death of Boutaud in 1983, the company never recovered and the business was closed in 1989. 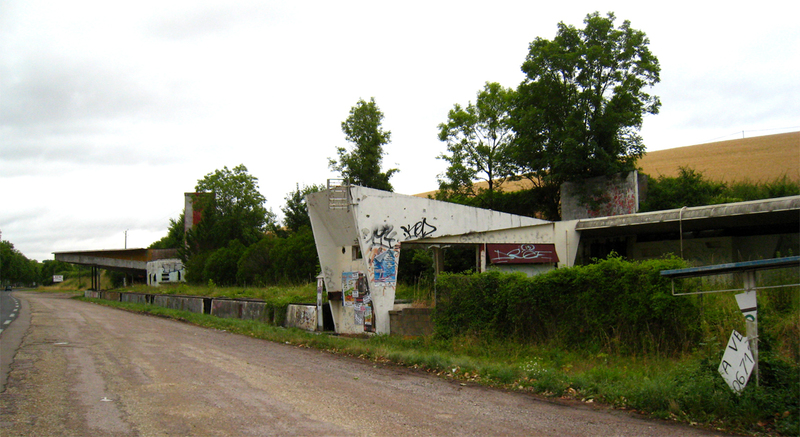 The roadside building sat dilapidated and riddled with graffiti till it was torn down in 2009. Luckily one of the owners removed the iconic bird-like figure from the roof and relocated it to the town of Accolay. 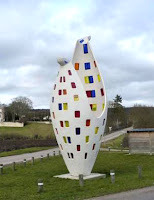 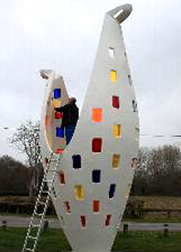 It took two cranes to move the 7 meter tall plaster piece to its new location and it has since been restored.